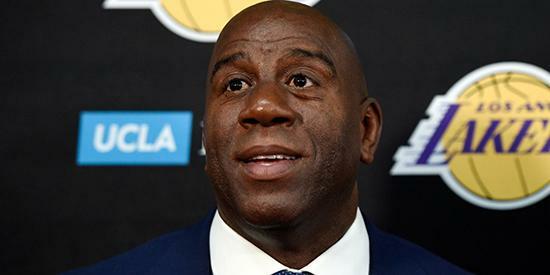 Magic Johnson stepped down as Los Angeles Lakers president in a shocking move on Tuesday. Johnson announced the decision at an impromptu press conference and admitted he had not told Lakers owner Jeannie Buss yet. Johnson cited his desire to “go back to having fun” and working and mentoring other players in a less official capacity. Johnson was hired in 2017 alongside GM Rob Pelinka in an overhaul of the Lakers front office, orchestrated by Buss. The resignation comes amid increased criticism of the Lakers season and Johnson’s performance as team president. Johnson helped the Lakers land LeBron James as a free agent last summer in a massive move for a team that had missed the playoffs for five straight seasons. However, Johnson and GM Rob Pelinka drew criticism for their other free agency signings, which included several other ball-handlers and non-shooters — players that typically have not fit well next to James. The Lakers reasoned they would lighten the load on James while playing differently than the Warriors. After a slow start to the season, Johnson reportedly admonished head coach Luke Walton for the team’s poor performances and inconsistency. Several reports since indicated that the meeting put Walton and the coaching staff on edge. 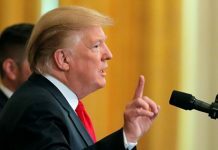 On Tuesday, Johnson said the media “overblew” the meeting with Walton, saying they have been fine since one “tough” meeting. However, Johnson also cited the lingering decision on Walton’s job as one reason for his resignation, saying he felt uncomfortable in the position. Many in the basketball world previously believed Walton would be fired as Lakers coach this offseason. The Lakers got up to fourth place in the Western Conference this season, but their season was derailed by James’ groin injury, increased trade speculation regarding Anthony Davis, and an overall lack of cohesion and depth. The team was in the playoff race until early March, when a number of bad losses knocked them out of the playoff hunt. Johnson told reporters that he believes the Lakers are heading in the right direction, otherwise he would likely stay in the position. The team is currently 37-44.